What do the best people do differently than the rest ? Performance-based Hiring. There were two parts to this: first, what the best hiring managers did differently; and second, what the best people whom they hired did differently. Here’s the quick synopsis. Clarify expectations upfront. Although Gallup made a big deal about this in the late ‘90s with their book, First Break All of the Rules – What the World’s Greatest Managers Do Differently, clearly describing the performance requirements of the job was what the best managers always did. I refer to these as performance-based job descriptions. They describe the 4-5 critical performance objectives required to be considered successful (the upper 25%) in the role. Refuse to compromise on their demand for hiring top talent. Just like the best coaches, the best managers didn’t need to read Jim Collins’ Good to Great to know that getting the best people on the team was the key to building a winning team. Fully engage in the recruiting process. Over the past 35 years I’ve worked directly with more than 500 different hiring managers. Those who consistently hired the best people spent more time with the candidates before, during, and after the interviewing process. Most important: all would meet strong prospects on an exploratory basis before the person agreed to be a serious candidate. Value potential over experience. While the person hired needed to have the basic skills, upside potential was far more important to the managers who hired the best people than the laundry list of skills and experiences listed on the traditional job description. Modify the job to fit the right person, rather than find the right person to fit the job. The best managers were always willing to see talented people whether or not they had an open job to fill. They were also willing to modify an open job to attract and better meet the career needs of a strong person. Take full responsibility for the results of every hiring decision. While the managers delegated much of the work to the HR and recruiting departments, they took full responsibility for the results of every hiring decision. Surprisingly, most gave credit for their successes to others, but took personal blame for the failures. The best sales people selling business analytics software always prepared a monthly sales plan targeting the 20 highest potential accounts in their territory. They also prepared a preliminary needs analysis for each company before the first meeting. The best counselors at YMCA summer camps always prepared the next day’s activities the night before. They also asked other counselors what games worked best from an engagement standpoint. The least best counselors winged it every day. The best people taking over any type of complex project always first figured out the problems or challenges involved. Then they conducted some type of trade-off analysis. Then they put a plan together with resource requirements and options. Then they got their version of the plan approved. They then successfully implemented the plan. The best outbound call center reps selling yellow page ad renewals could keep an existing client on the phone making small talk for the first 3-4 minutes before asking for the order. The best inbound call center reps for a big insurance company had perfect attendance, could handle 4-5 open calls consistently throughout the day, and within 1-2 minutes of answering a call could figure out the customer’s problem and implement a solution. The best software developers for a gaming company fully understood and documented customer requirements before ever writing a line of code. This “define before design” concept was also true for a project leader handling one of the first SAP worldwide implementations, a factory manager charged with implementing a six sigma program and a financial planning analyst given the assignment to upgrade the management reporting system at a big entertainment company. From a recruiting standpoint I would ask the hiring manager if he or she would be willing to have an exploratory meeting with a strong person who met the “benchmarking the best” requirements for the job even if the person didn’t meet all of the requirements on the skills-infested job description. The best all agreed and most used the Performance-based Interview approach I also benchmarked. They then took full responsibility for recruiting, assessing and hiring these people. Lou Adler (@LouA) is the CEO of The Adler Group, a consulting firm helping companies implement Performance-based Hiring. He’s also a regular columnist for Inc. Magazine andBusinessInsider. His latest book, The Essential Guide for Hiring & Getting Hired (Workbench, 2013), covers the performance-based process described in this article in more depth. 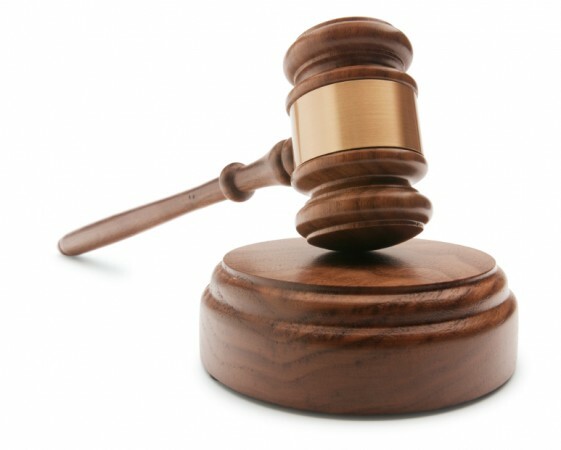 Jury Rejects Bar Patron’s Claim of Assault and Negligent Security ! Gerardo Villani alleged that while he was a patron at Thirsty Turtle, a White Plains bar owned by Tri-Kelly’s, he was assaulted and battered by a Thirsty Turtle security guard, defendant Roger Jones, without cause or provocation. Specifi- cally, Villani alleged that Jones, whom he claimed had a propensity toward violence known to Tri-Kelly’s, violently struck him in the face, causing various head and neck injuries, as well as traumatic brain injuries. The plaintiff alleged, among other things, that Tri-Kelly’s was negligent by failing to provide a safe environment for the plaintiff, allowing the plaintiff to be assaulted and battered and providing inadequate security. The plaintiff claimed that Tri-Kelly’s had both actual and constructive notice — actual notice in that the condition and/or dangerous propensities of Tri-Kelly’s security personnel was/were allowed to remain; constructive notice in that Tri-Kelly’s knew or should have known of the propensities of its security personnel and allowed and permitted said dangerous condition to be and remain for a long and unreasonable length of time without cor- rection or warning. In sum and substance, Tri-Kelly’s contended that Jones’s conduct was outside the scope of his employment. Specifically, that at the time the assault and battery took place, the plaintiff was across the street from the club; and Jones, acting for pur- poses of his own, departed from the line of his duty, so that for the time being his acts constituted an abandonment of his service to Tri-Kelly’s. Jones did not appear at trial, but submitted an answer and testified at a deposition — essentially that he was acting in self-defense against the plaintiff. After hearing testimony from the plaintiff, two eyewitnesses to the altercation, the manager of Thirsty Turtle and having been read portions of Jones’s deposition tes- timony, the jury found for the defendants — specifically that (1) there had not been a battery (the jury was not charged on assault) committed by Jones (rendering the question of whether he was acting within the scope of his employment academic); and (2) Tri-Kelly’s had not been negligent in the manner in which it supervised its employees on the night in question. Of note is that the court issued PJI 2:55 — implied assumption of risk — based on testimony that the plaintiff was a willing participant in a number of altercations on the night in question. This conclusion was reached by the court based on the appli- cability of the recent Appellate Division, First Department case of Carreras v. Mor- rissania Towers, 2013 N.Y. App. Div. LEXIS 4808; 2013 N.Y. Slip Op 4893 (June 27, 2013) ([B]ecause [plaintiff] willingly entered and continued to participate in the fra- cas, [he] severed the causal link between his injury and any negligence defendants may have committed . . . .”). 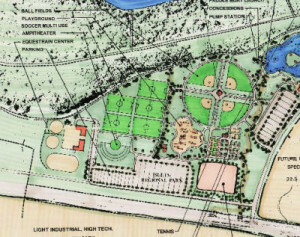 Council OKs sports park revisions – with a catch ! When Ernst & Young consultants Valentin Hernandez II and Steven Klett told council this past June that a mixed-use redevelopment at Peoria Sports Complex as envisioned by Peoria Sports Park LLC was not economically feasible, there were mixed reactions by councilmembers. The majority of council agreed to give PSP another chance to prove the consultants wrong. That second chance was a 90-day window to respond to questions surrounding the project’s feasibility. PSP presented its alternatives and revised project plan at the Dec. 10 council study session. A major revision involves the role of the developer, which is now taking the role of master developer, not retail developer. PSP also re-evaluated and re-designed its proposed project to reduce cost, address site plan issues, increase the project’s internal rate of return and perhaps most important, address the feasibility of the proposed hotel. Instead of placing the hotel along 83rd Avenue, the developer has proposed it be built as part of the internal structures. PSP’s first proposal cost was set at $180.5 million with a project internal rate of return at 6.8 percent. Its second proposal lowered the cost to $90.5 million with an internal rate of return of 10.6 percent. Peoria Economic Development Services Director Scott Whyte said PSP is also willing to go out and seek a developer that meets the retail development requirement. In addition, the development team now has market expertise. It includes CBRE and Velocity Retail, along with a restaurant broker. Councilmember Cathy Carlat asked what would happen if the 80-percent tenant lease stipulation was not reached, and Whyte said that would be a breach of the agreement. “What we need to know is if they’ll sign a lease,” he said. Councilmember Ron Aames asked if a year was enough time for PSP to comply with the terms of the agreement. Klett of Ernst & Young said in general, the commercial real estate market is improving, and hopefully, the job market would continue to look up. Whyte pointed out that the Arrowhead area has an overall vacancy rate of 7 percent, and Arrowhead Towne Center has a 98-percent occupancy rate. With little discussion following the presentation, council came to a consensus to have staff draw up an amended ground lease for consideration at a future regular meeting. The entire PowerPoint presentation on the project proposal heard during the study session can be viewed online by visiting the city’s website at www.peoriaaz.gov, and clicking on the council agenda for Dec. 10. More Of The Outdoors Sport ! The National Hockey League plans to enjoy the great outdoors much more this season. 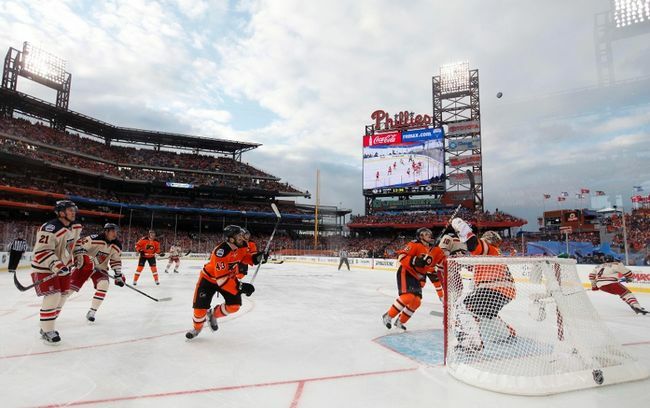 Fueled by the success of its recent outdoor Winter Classic events, the NHL will offer fans six regular-season games alfresco in 2014, establishing a new single-season record over the previous mark of two. The decision to add more outdoor games to the lineup was announced earlier this year, and fans across the country will benefit, with contests scheduled at Yankee Stadium in New York City; Soldier Field in Chicago; Dodger Stadium in Los Angeles; and BC Place in Vancouver, British Columbia. In announcing the decision to expand the schedule earlier this year, NHL Commissioner Gary Bettman said the league welcomed the chance to increase the number of outdoor games. “This is a fan-oriented, fan-driven event, and that’s why we’re doing so many games—so we can bring it to more fans,” he said. In a season with a new divisional alignment and no NHL All-Star Game for the second consecutive year (last year’s was canceled due to a labor dispute and this year’s is off owing to a 17-day midseason break for the Olympic Winter Games), the new outdoor events—being billed as the Coors Light NHL Stadium Series—will seek to provide a regular-season boost to the league’s 97th year of operation. 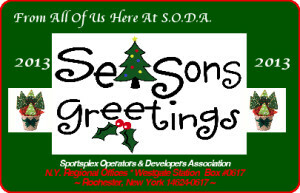 SODA Offices Closed For Holidays ! The SODA Offices Will Be Closed For Holidays from December 21st Until January 6th, 2014 So Our Staff Can Enjoy The Holidays ! We Wish You All The Best Of Holiday Cheer ! Adapt to the mobile customer ! The smartphone is transforming the typical purchasing experience. As more customers wielding feature-packed phones roam store aisles and surf the web, the lines between online and in-store shopping are blurring. Savvy retail businesses are adopting an omni-channel strategy to align and interconnect all of their customer-facing touch points—web, brick-and-mortar, mobile apps, and social media—to put their data-empowered customers at the center of the retail map. Retailers need to collect and analyze many sources of data as part of an omni-channel strategy. 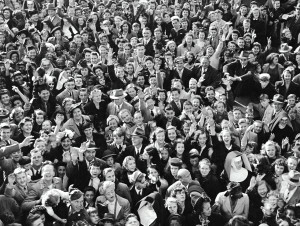 One of the most important is the vast amount of unstructured data created by customers via social media. Here is a look at the technologies that are driving this change and how businesses are responding to it. Armed with a modern smartphone, customers have access to a world of information about the products on store shelves. This easy access to information has created new shopping patterns and increased customer expectations. Shopping assistant apps let customers scan the UPC and QR codes of products in a store and see how the price compares to other retailers. Some of these apps not only show competing online offers, but also show the prices of other local retailers ranked by distance from the mobile device user’s current location. Mobile access to real-time, location-specific information has created a behavior retailers refer to as “showrooming,” in which prospective customers use the brick-and-mortar store to try out a product, only to leave and buy the product later, online at home, with their phone, or at another local store. Retailers need to react to this trend by using the same techniques their customers are using, staying aware of the competitive landscape, and by making the in-store purchase experience more compelling. That’s one of the primary goals of the omni-channel strategy. It’s important to offer relevant paths into social media because customers aren’t just accessing price data with their mobile devices. They’re also creating and sharing a wealth of opinions about businesses and retail experiences on local search sites and on social media sites. Customers can gather a real-time view of a store while they shop. Businesses need to be active in each social community. By taking part in these conversations, businesses can tell their stories in formats that are relevant to the audiences they’re trying to reach. New York–based pharmacy chain Duane Reade presents a good example of a robust, multi-platform social media presence as part of its omni-channel strategy. Duane Reade achieved a remarkable 6,709 percent increase in followers year over year on its micro-blog feed, which now has more than one million followers, according to a case study released this fall. The key to the chain’s success was understanding the kinds of conversations customers were having online and providing relevant content, not just sales pitches. The @DuaneReade feed consists largely of time-based and location-based items of interest, including neighborhood-specific news with promotion-related content blended in. Duane Reade is also using other strategies, including promotions that encourage sharing a post to unlock a specific discount, and that sends offers only available to followers or at specific stores. Most social media platforms also offer analytics tools so businesses can see the performance of promotions, but more importantly, they can monitor the sentiment of their audience. Emailed receipts—Aside from the convenience factor offered to customers, an emailed receipt gives the business another opportunity to thank the customer, include links back to satisfaction surveys or user manuals related to the purchase, and more. Pulling together all of that activity into one cohesive picture is a big challenge for every organization. HP’s Autonomy technologies are designed to help gain a useful understanding from a host of unstructured data sources: social media sites, phone conversations, video and more. Tapping into these insights is essential for businesses to be responsive and stay relevant in customers’ connected lifestyles. Construction designs and space for quad on agenda ! The Montrose Colorado City Council will consider approving a contract for final design of fish habitat improvements upstream of the proposed Montrose Water Sports Park on the Uncompaghre River at its meeting Tuesday evening. The council will also consider an ordinance to vacate a piece of downtown property for Colorado Mesa University’s Montrose campus to expand an open space area. Montrose Public Works Director John Harris will lead the discussion on the fish habitat improvement project. Approval of the construction design was on the agenda at the last council meeting but Harris asked the council to table its action until additional information was gathered. 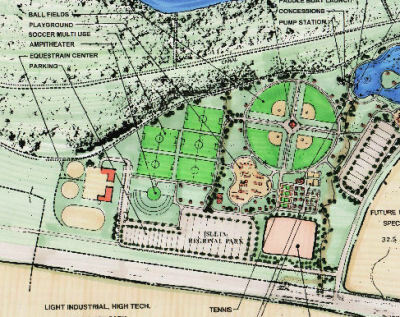 The proposed water park is part of a joint effort between the city and Montrose Recreation District announced in June. In addition to the water sports park, which will support kayaking, tubing and swimming, park improvements will also see new concrete and soft-surface trails and signage installed.